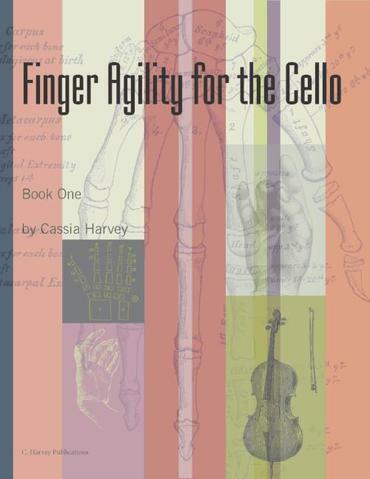 Finger Exercises for the Cello, Book One gives you notes to play that will make your fingers more agile. The double stop exercises included help correct collapsed fingers and and encourage good hand alignment. By playing this book at the beginning of a practice session, you will ensure that the rest of your practice is more in tune. Teachers: this book is a useful warm-up that ensures that the rest of the lesson will go more smoothly. • Start by playing slowly. • Feel for correct hand placement and listen for intonation. • First learn without slurs, if necessary, but add the slurs as soon as possible. • Keep lower numbered fingers on the fingerboard behind the playing finger. For instance, when playing fourth finger, keep the other three fingers balanced lightly on the fingerboard in their correct positions. • Do not squeeze the cello neck. Keep your left wrist straight & your left arm out to the side at a comfortable angle (not touching the side of the body). Cling very lightly with the thumb, using gravity to help the fingers lower onto the string. • Pay attention to the spacing between 2nd and 3rd fingers; make sure these fingers are not too close together. Exercises 33-end focus on even spacing. 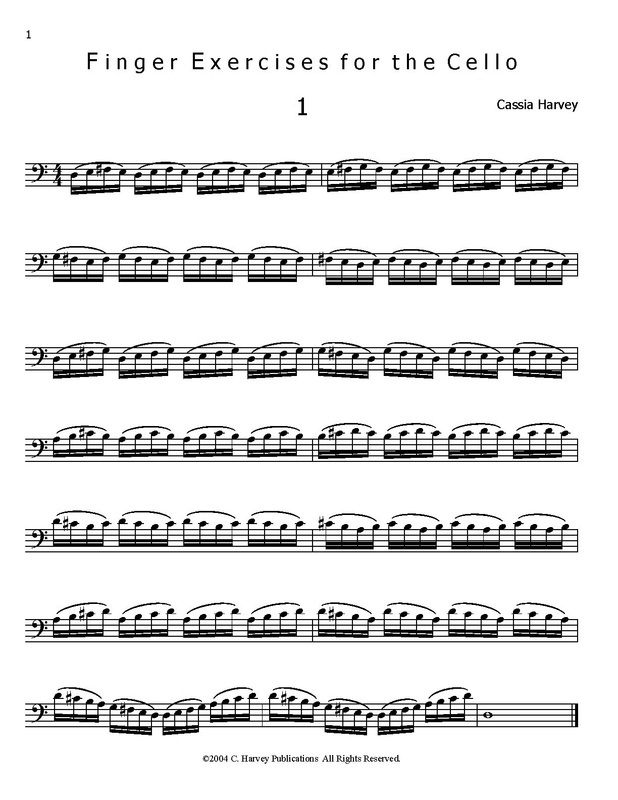 • The exercises could be played with a drone to help intonation.